I really enjoyed this book because I love animals and it was different. All the animals died, that’s what everybody thought, because of a disease called red eye, but there was a couple 100 left in the world, and one boy could save them all. Being trapped in Spectrum Hall because he cannot talk but not knowing why his was in this dreadful place. All he had left from his parents was a watch and a scarf. Why where there pigeons in his room helping him escape? The birds where talking to him and he was talking back. There is one white pigeon that muddles up his words and ninety-nine other grey ones. A really good adventure about saving many animals lives and losing some one the way. I would recommend this book for children aged 9+ as some parts are hard to understand. Kloe, aged 12 The last wild is a gripping tale of friendship and not giving up. Kester must help the wild and get them to his father before its too late.Filled with laughs (caused by the white pigeon!) 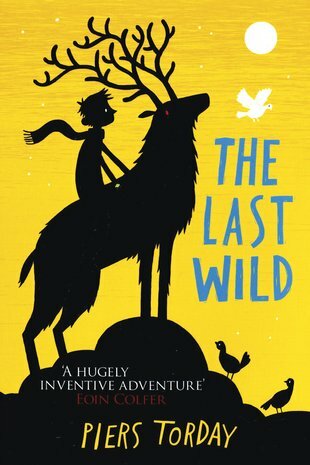 the Last Wild is a fantastic book and hopefully the first of many from Piers Torday! I enjoyed reading this book. It was fun. The age is for 12-15 would really enjoy it. There are sensitive areas such as death to some animals and a few words which aren’t good for younger children (like bloody and damn). The idea of the book is like a mission. The book is based outside in the wilderness and the writing makes you feel like you’re there. Piers Torday’s writing made me feel like I was in the character’s shoes. Polly was a great character because she was not afraid of anyone! Kester Jaynes was a bit shy as he couldn’t really speak to humans but they made for a great time. A definite page turner for the summer! Hope this is the first of many from Piers Torday!